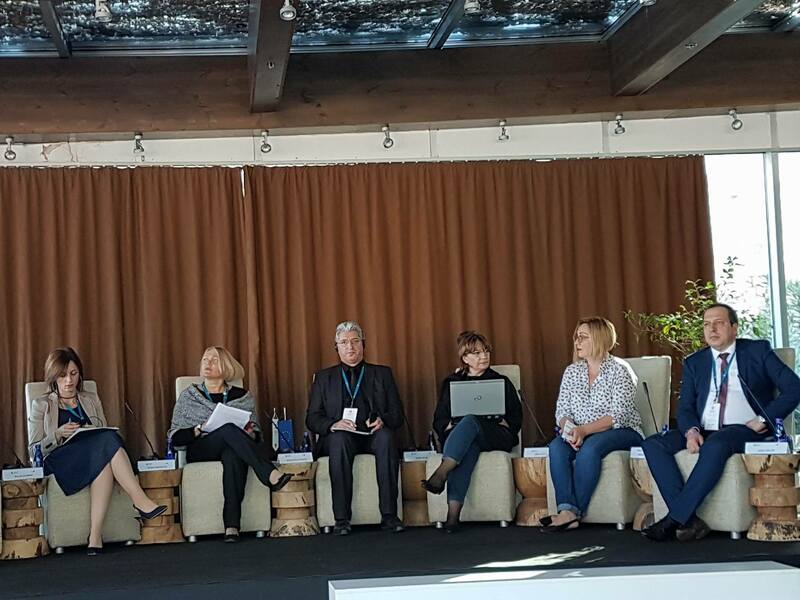 The 10th Annual Conference of the Regional School of Public Administration (ReSPA), focused on “Improving Service Delivery in Public Administration by Innovation Navigating in Times of Change” takes place on 12 and 13 October 2017, in Budva, Montenegro. NALAS addressed in the first panel of the conference titled “Innovation and Public Administration: Special Clients’ Perspectives”. Jelena Janevska, NALAS Knowledge and Communication Manager emphasised the role of local government, not as a special client, but as an important level of governance that meets the basic citizens’ needs. “If we are to summarize citizens’ expectations, they are jobs and prosperity from the national level, and infrastructure and quality of life from the local level. Can local level meet these expectations? Hardly. Municipalities are underfunded and highly dependent from the Government”, said Ms. Janevska “As NALAS Fiscal Decentralisation Indicator Report shows, SEE LG revenue as a share of GDP is 6.3%, half of the EU average. Similarly, local government revenue as a percentage of total public revenue in the region is low when compared to the EU28 (17% vs. 25%). 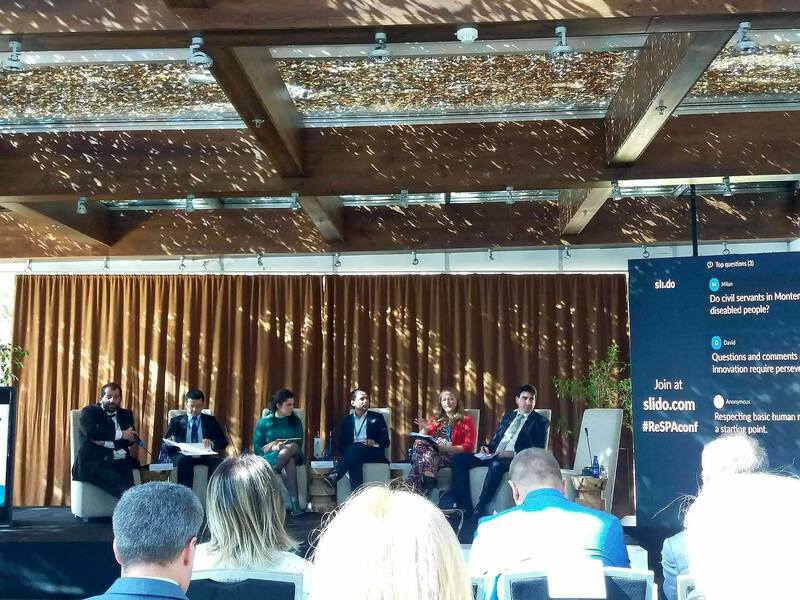 Possible solutions might be: boosting fiscal decentralisation, aligning national and local priorities and committing funds for their implementation and cooperation between the different governance levels”, suggested Janevska. She further focused on the elements of effective local public service and shared examples of innovation in all of them. “Innovation is not done for the sake of innovation, but for providing quality and accessible services for all citizens. Thus, the new strategy of NALAS focuses on smart cities, innovative solutions and inclusion”, said Janevska. The first day of the 10th ReSPA Annual Conference set the stage for integrating innovation in public administration. The views of young people and special client groups was presented, the value of innovation in practice was be examined, various dimensions of innovation (social, technological, organisational) were discussed, and systems such as hackathon, were taken into consideration for creative problem solving. The participants also shared their views on the major innovation challenges in public administration. 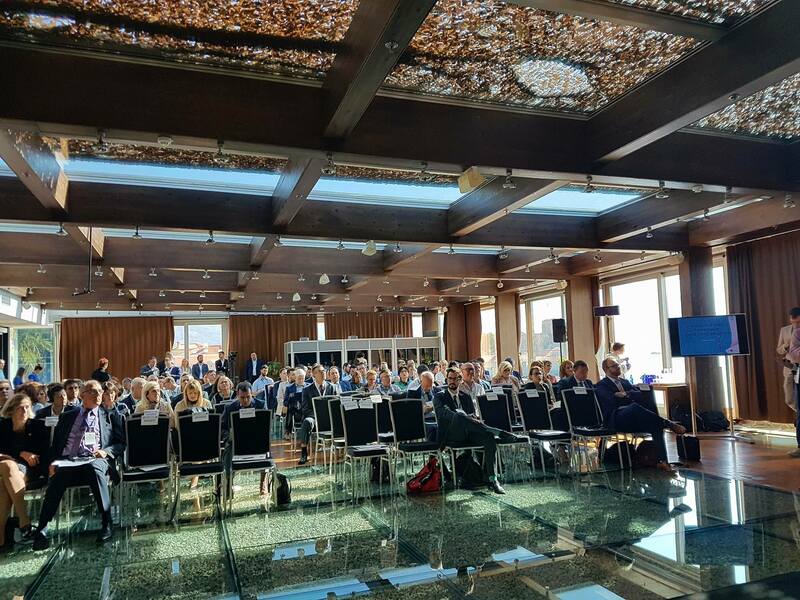 During the second day, within the ReSPA Café, an open discussion on the structure, culture and personal change called for to promote innovation in public administration will be organised, and this discussion will be followed by a session dedicated to culture. Recognising, measuring and awarding innovation outcomes will be also explored. It is expected that the exchange of regional and international experiences in an open debate will bring benefits to all participants.